We've almost made it through another week...and this one has been a long one indeed. Let's see what I've been up to! Over the summer, I tagged along on my family's beach trip to Panama City. The shopping center there, Pier Park, has a signature store and their Dillard's carries Lilly as well...so we all know what my souvenirs from that trip were. This popover is a dream! 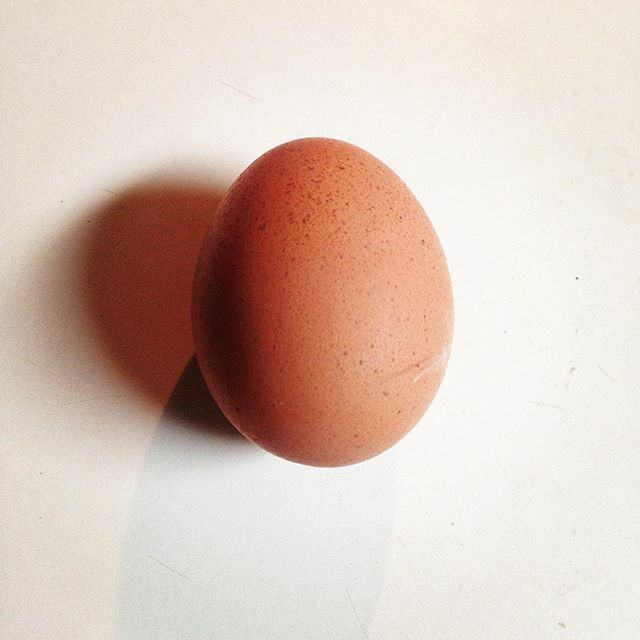 There's something about farm fresh eggs that makes you want to scramble them, boil them, bake with them, everything! 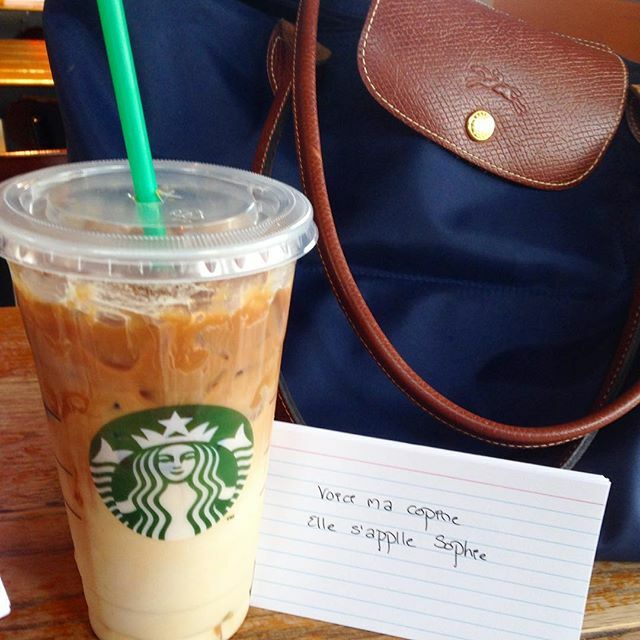 This particular day was spent studying in Starbucks before my first French test. I felt very much the part with my caramel macchiato, my flash cards, and my Longchamp. This is another shot from vacation with my parents. My oldest sister and I drove down together and we had a little detour through Seaside on our way home. I was reminiscing back to this warm day & this cute little school we stumbled upon. Talk about one of my favorite outfits ever! This dress is by Umgee (unfortunately I bought it at a local boutique & can't find it online! ), but it paired perfectly with a borrowed turquoise cross necklace from my sister, and my favorite wedding boots from Corral. This is the most sassy, country outfit ever. This is another one of my favorite shots, this dress is an older find from Sikes and Khon (if you're from Alabama you probably know about this store!) but it's still a summer/fall favorite. 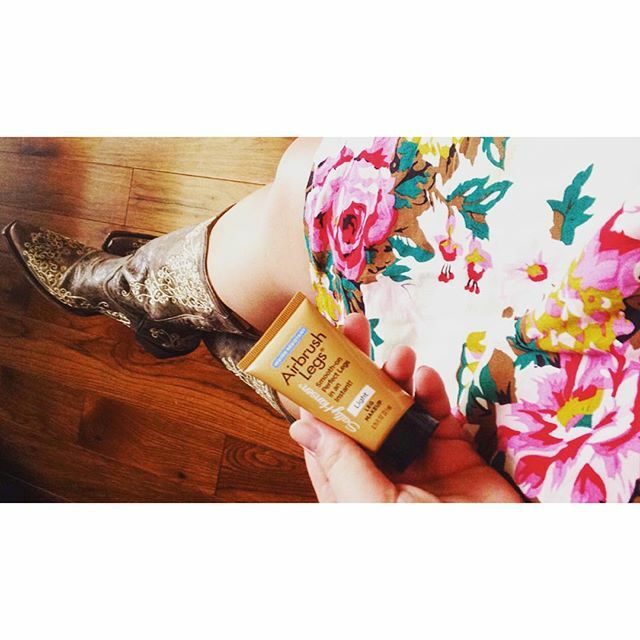 Paired with those same Corral boots & my Sally Hansen Airbrush Legs... I can carry this outfit into November here in 'Bama. Seriously though, that Sally Hansen leg makeup 'doe. This was my other buy from the Dillard's at Pier Park in PCB. 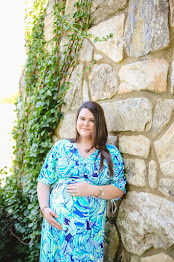 I had never tried on or owned a Melle dress from Lilly, but the fit on this is perfect. It has a racer back and is cotton, so it's perfect to toss on as a swimsuit coverup or to wear out to dinner on it's own during the warm months. 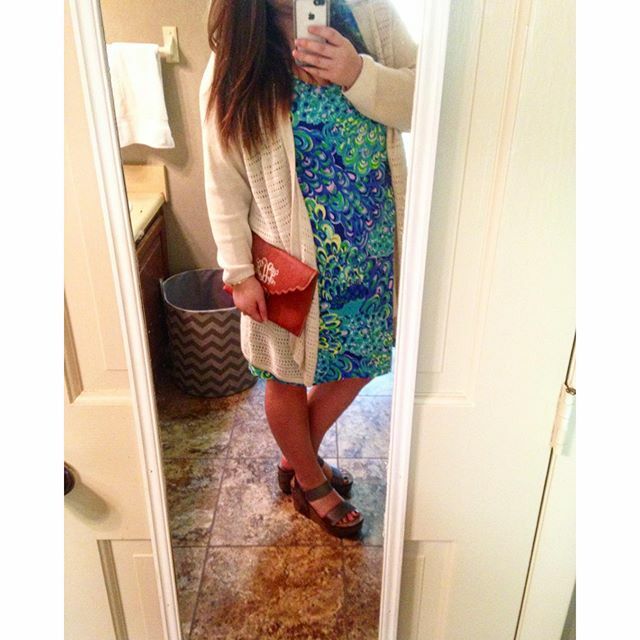 I wore it like this to church a few weeks ago with my favorite Gap oversized sweater, my Marley Lilly monogrammed scalloped clutch, and my OTBT Bushnell's! 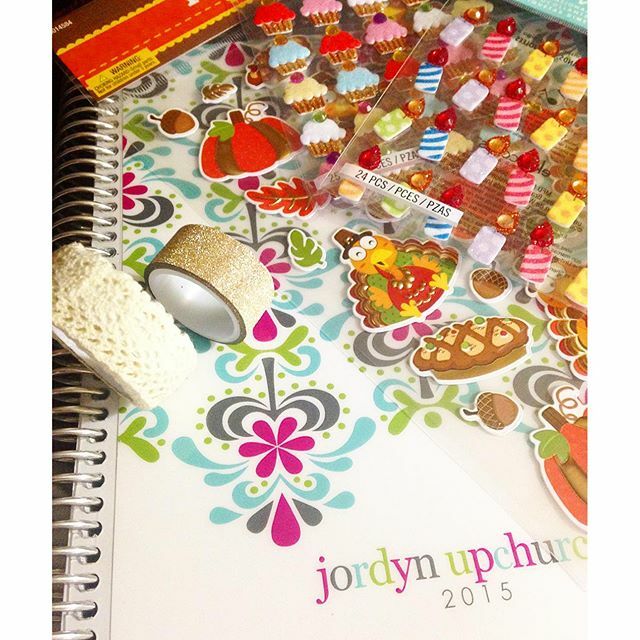 This has been the first year using my Erin Condren planner and I have LOVED it. It's almost turned into a journaling thing plus keeping my plans in line. I love buying stickers and cute washi tape to dress it up; this picture has some of my favorites. . . If you're interested in getting $10 off your first Erin Condren purchase, here's a link! I hope y'all enjoyed this little instagram roundup. . .until next time! I live an hour from Seaside and go there all the time with my family, I hope you enjoyed! 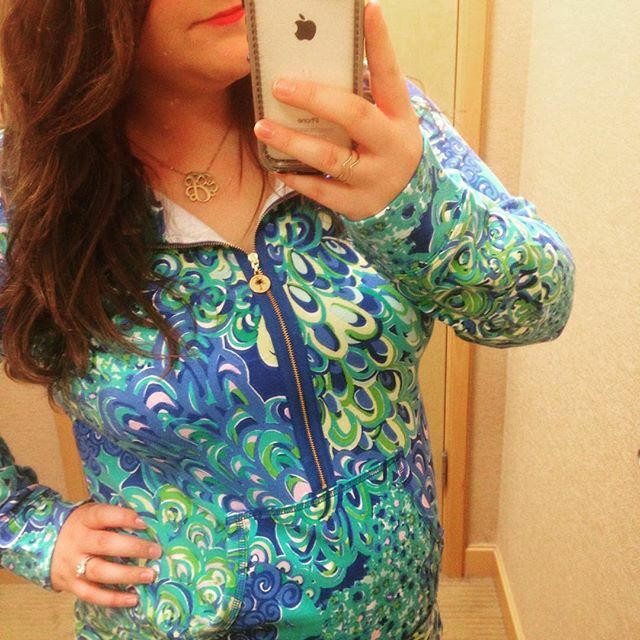 I love the styling of the Lilly's Lagoon shift! Love the Lilly's Lagoon stuff and also LOVE that black embroidered dress. That popover is so adorable as well as the first dress that you showed! Love your style! Love that first pic and wow!! That shot from vacation looks fab! So many cute Lilly things! What a fun round up! I absolutely love that Lilly dress on you!! Perfect roundup! 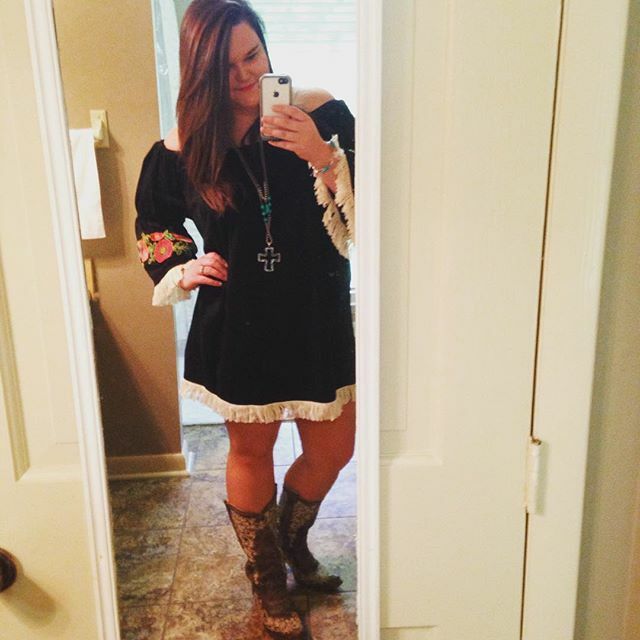 Really loving that floral dress with those country boots. Such a cute fall outfit! Loving your cute fall outfits. The Umgee dress is GORGEOUS! I love Seaside--my family goes every year! I really want to learn French--I took it in first grade, but haven't really touched it since! What a fun post, love your planner! It's so colorful! I really love the Lilly dress! Such a pretty pattern! I enjoyed your updates of all things and esp your outfits!! The black dress is lovely. 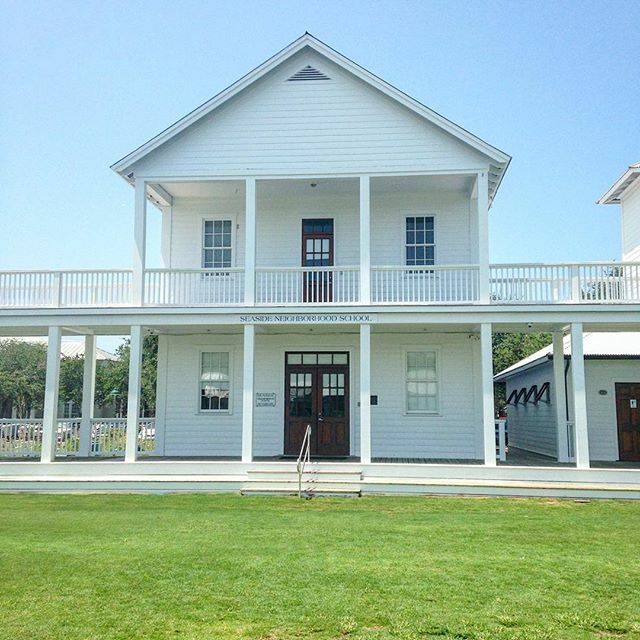 And that white school is so cute! I would have loved to study there. Hope your french test went well! I'm so jealous it's still warm enough for you to wear open toed shoes! I love your Lilly dress! Loving all of the Lilly! Farm fresh eggs are my favorite :) My little brother has three chickens, and I'm convinced their eggs taste better than eggs from the store. Loved your instagram round up! That vacation with your parents looked so cute, I want to go sea side!